Hampden’s Waverly Brewing Company teamed up with The Local Oyster for this year-round stout made with oyster shells, meat and liquor. Calcium from the shells contribute to its velvety, smooth mouthfeel, and at just 5.2 percent ABV, a pint of it won’t knock off your woolly socks. 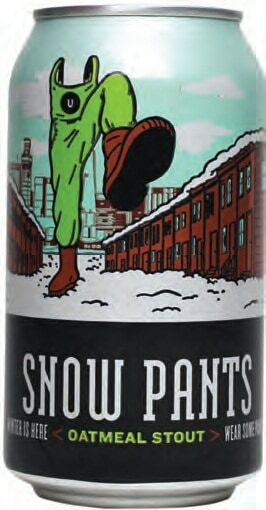 The arrival of Snowpants, Union Craft Brewing’s seasonal oatmeal stout, signals the arrival of winter in Baltimore. Jet-black in color with notes of chocolate, a blend of half a dozen malts and piney hops pack a wallop of flavor into each 16-ounce can. Don’t be fooled by the balanced flavor—this beer clocks in at a hefty 8 percent ABV. 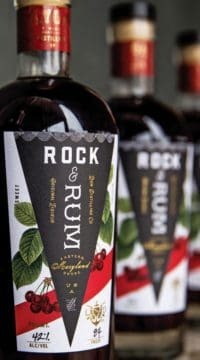 A cheerful Rum Old Fashioned in a bottle, St. Michaels-based Lyon Distilling infused its classic white rum with orange botanicals, blended the distillate with a candied-orange caramel and finished it with dark cherries to create Rock & Rum. Enjoy it neat or on the rocks. Looking for an all-natural local alternative to Champagne? This Westminster-based winery has the answer with its selection of “Pétillant naturel” or naturally sparkling wines. A style that made its debut in France’s Loire Valley centuries ago, Pét-Nat, as those in the know call it, has made a comeback, with Old Westminster leading the way in Maryland. The Grüner is funky and viscous yet minerally and fresh.